Dissimilar Metals sounds like harmless phrase. When it comes to decks, metals like copper, gold, silver, stainless steel and more rarely create a negative response or conjure up anything that may pose danger. Certain dissimilar metals, however, provide ample opportunity for damage to strike. Looking beyond just the wood or other material used in the deck’s construction reveals that using dissimilar metals, and even specific metals, in its design can shorten the life of a deck. A deck is really a seamless division that brings the outside of the home inside. As decks become more complex, encompassing many of the features of the home’s interior, good argument exists that decks also bring the inside of the home to the outside. In either case, the deck provides a special feature to any home, making it more beautiful while expanding the home’s utility. Choosing the right material to construct a deck includes selecting the correct metals that help hold the deck up and together. Zinc, aluminum, copper and cast iron possess a characteristic that induces electrochemical reactions. Known as a galvanic reaction, the process leads to the early, if not quick, breakdown of the metal. When two or more metals come in proximity to one another, the process of Galvanism begins when water comes into the picture. Water acts like wiring, just like the copper wiring in home, between the metals allowing the electrochemical current to pass from one metal to the other. The process wears down the structural strength innate to the metals’ design. Most homeowner’s only know of nails or screws used in laying down the surface of a wood or composite deck. They think little about the construction and metal used; let alone that some of the dissimilar metals may come close to one another. Chances are if the deck extends out from the home, the frame joists hang from the outside wall (ledger), secured by aluminum hangers. Aluminum is the most common material, using steel (or aluminum) nails to secure a joist to the ledger. Over the joists, the floor will be laid. Depending on the deck, if raised off the ground several feet, posts and beams come into play, used to stabilize the deck. All of the various components of the deck tie together through various types of nails, screws, post anchors, bracket, headers, inner joists and more. All that the recipe needs is a little water to help conduct the electrochemical current from one metal to the next. As is clear from above, all the parts or components of a deck join together at one point or another. Joists join at the ledger of a home, the joists join with the floor, rim joist and beams, while the beams join with the posts. If one part begins to degrade, pressure builds up on one of the other inter-connected components. Overtime, the degrading process begins to undermine the deck’s strength, resembling the domino effect as one component impacts the other by weakening it. Before long, and for the sake of safety, the deck needs replacing. Key to maintenance and blunting the impact of metal degradation, either dissimilar or highly subjective to electrochemical reactions, evolves around one word: waterproofing. It’s water that becomes a wire conducting the very current that undermines and eventually destroys the metal that holds the deck together. 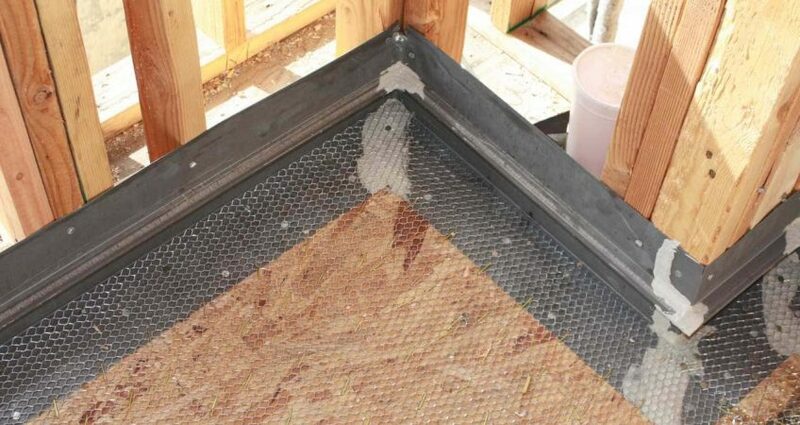 Using galvanized steels, or specially made deck nails, stands as a preventive measure and makes good sense. Though more expensive, certain plated metals prove effective against creating debilitating electrical currents. Contact us, Pli-Dek Systems, to learn more about the important role metals play in the life of your deck and how waterproofing serves to reduce or eliminate the damaging electrochemical reactions that can ruin your beautiful deck.